Magazine holders are so inexpensive and they make wonderful DIY organizers for every room in the house. Those Dollar Store magazine holders cost about a dollar or so each and you can use them in so many wonderful ways. 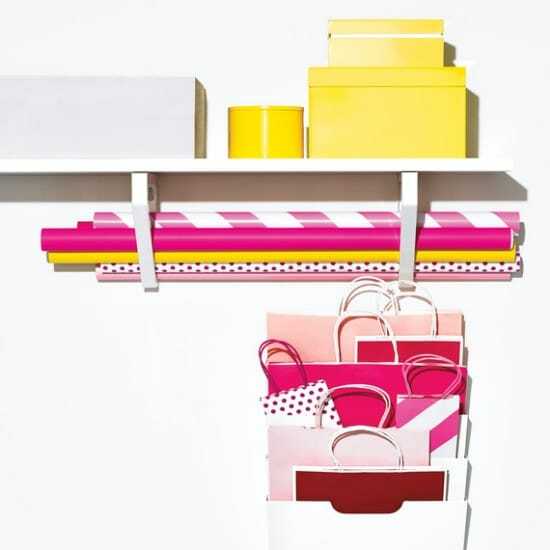 Who doesn’t want to be more organized? If you’ve been looking for a great way to organize your craft supplies or you need a lovely corner shelf to keep the television remote handy, you can use those magazine holders to create it. I have to admit, this collection blew me away. 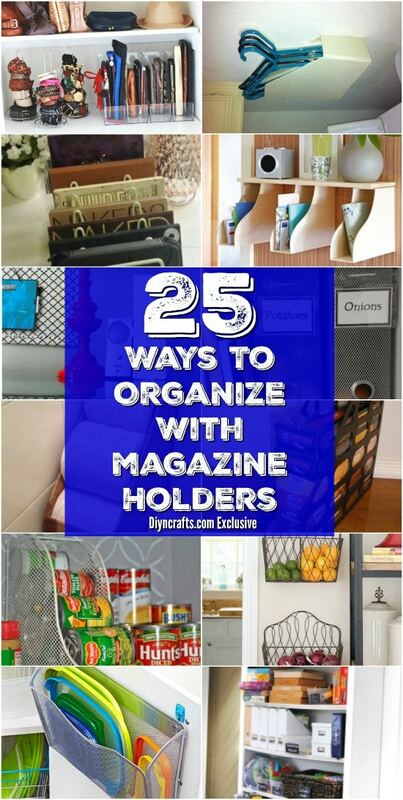 I never knew there were so many wonderful way to organize with magazine racks and holders. 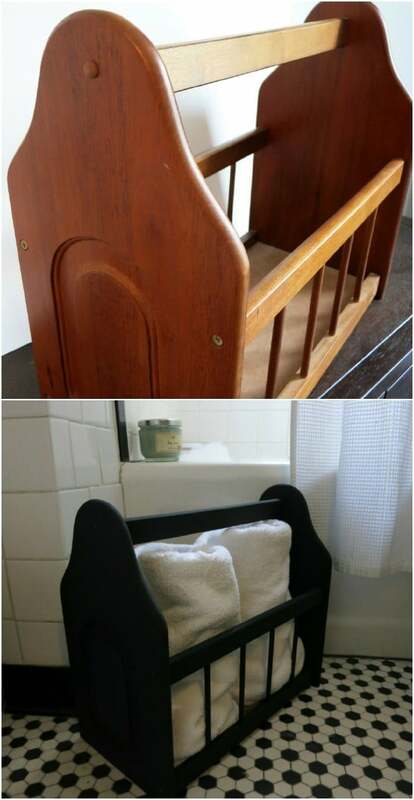 There’s even a beautiful towel holder for the bathroom made from an old magazine rack. How amazing is that? 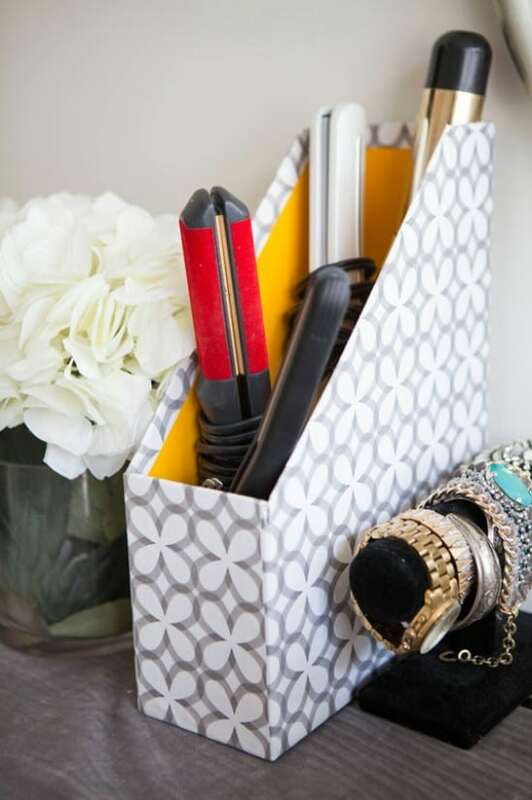 Oh, and you have to check out these 150 Dollar Store organizing ideas, too. There is something in here that will help you get your entire home neat and tidy. Metal, wood, cardboard, and even plastic – you can find magazine holders in all types of materials and you can use those holders to create some amazing storage for the home. I’m so excited to bring you this organization list. Let’s face it, we can all use a bit of organizing and there are some really wonderful ideas in this collection. Note that some of these projects use wire magazine racks and some use larger wooden pieces. There’s a unique magazine rack organizer for everyone! 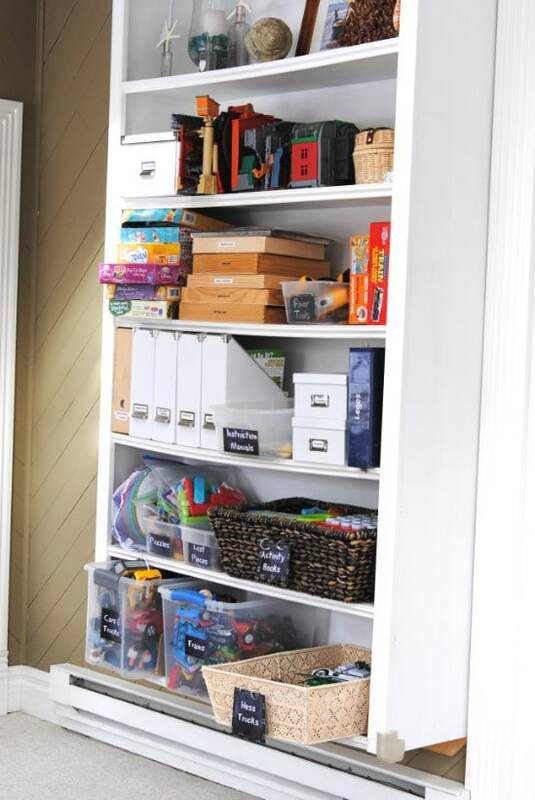 There’s also a great collection of 50 DIY storage ideas for kids’ rooms – be sure to check that out, too. Now, back to organizing with those magazine racks. You’re sure to find a fun and easy project that lets you be a bit more organized. I absolutely love organizing and I really love finding unique ways to do it. of course, repurposing is my passion so this collection really hit both of those marks. Take a look and see how you can start organizing your home. A magazine racks works wonders to keep gift bags, sheets of wrapping paper and tissue paper organized and protected. You can hang the magazine rack or put it inside a tote or even on a shelf to organize and store those wrapping supplies. This keeps your bags and paper from getting torn or wrinkled and you can find all your wrapping supplies in a pinch. Sometimes the simplest things give you the biggest reason to smile. I’ll admit I really smiled big when I saw this toilet paper holder that is nothing more than a magazine file folder. You can get these at the Dollar Store for a couple dollars each and they come in cardboard or wire – or you can go all out and buy a wooden one from your local office supply store. Just stick those toilet paper rolls in there and keep your bathroom storage all neat and tidy. This little wooden magazine rack turned shelf is perfect for hanging right inside the door. You can put your keys, mail, and all sorts of other things in it. This would also be a great place to keep the television remote and maybe your TV Guide. You just paint or stain the magazine rack and then hang it wherever you need it. The shape makes it perfect for corners and it really does offer a wonderful catch-all station. If your kitchen drawers are deep enough, you can use magazine racks to keep those papers, spice packets, and other goodies neatly organized. 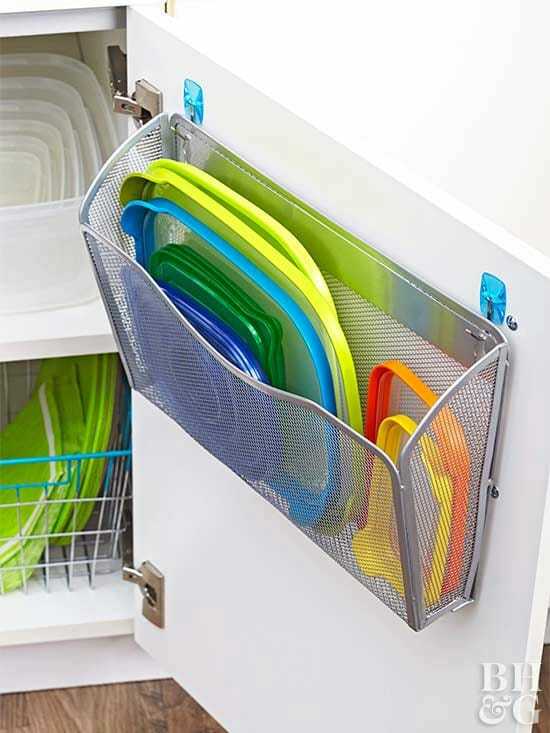 Those plastic magazine organizers that you can get at the Dollar Store for about a dollar each will lay down perfectly in a kitchen drawer and help you to keep those items organized depending on how deep your drawers are. How about a neat little table from those magazine racks? I love the idea of putting together this table for a reading nook. You take those wooden magazine racks and assemble them to create the top. Plus, you’ve got great storage inside each one. Add some legs and you’re all done. Imagine the magazines and other items that you can store in here and what a conversation piece! Cardboard or plastic magazine holders are so inexpensive and you can use them to create this amazing craft supply organizer. The racks hold loads of yarn, paints, fabrics, or whatever craft supplies you have that need to be organized. 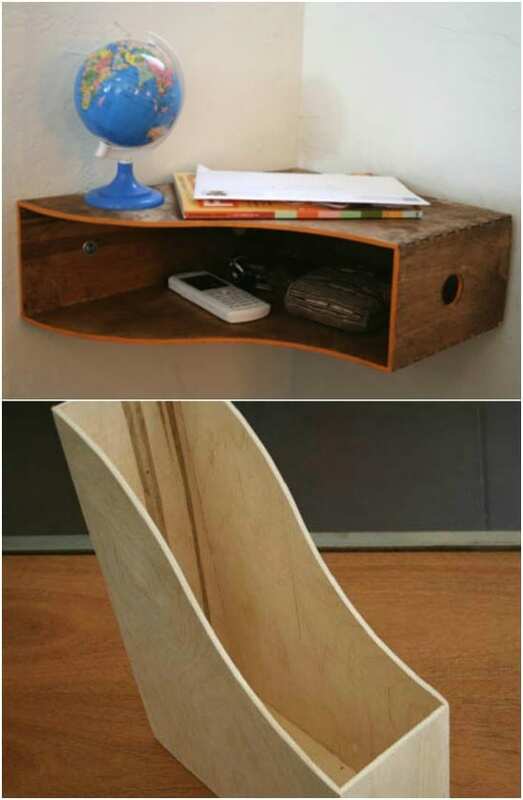 You can hang a simple wooden shelf and stack them up or even attach the magazine holders right to the wall. What a great way to get your craft room cleaned up and organized. Use that decorative magazine holder to keep your hair essentials neatly organized. Once they have cooled, just store your blow dryer, curling iron, or flat iron inside the magazine holder. Be sure that you’ve let them cool off before adding them to the holder as you could damage your products if you put them up hot. This is a wonderful way to organize the bathroom and you can totally paint the magazine racks to perfectly match the décor in the room. If you never seem to have enough room in the kitchen cabinets, organization is definitely in order. This magazine rack turned cutting board organizer is great because it is an easy and inexpensive solution. You can attach the magazine rack right to the inside of your cabinet door and your cutting board will always stay perfectly in place and right within reach, too. I’ll admit it, I wear flip flops year around – even in the winter if I’m staying inside. If you’re like me, you have so many pairs that organization seems nearly impossible. 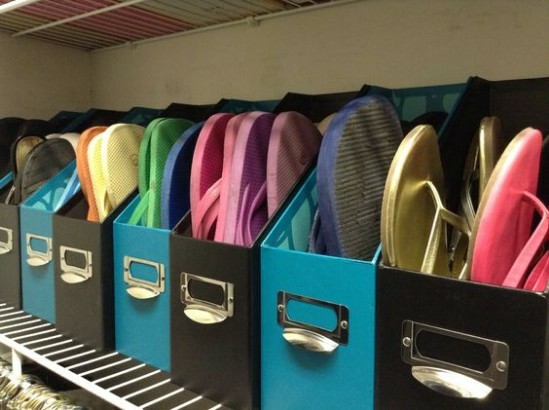 You can easily use magazine holders to store flip flops and keep them organized. If you have the shelving space in your closet, just line up those racks and then add your shoes. If you don’t have shelves available, you could even hang these on the wall. They look great and there are no more worries of your flip flops getting lost or misplaced. If you have a deep freezer – and if you don’t you really need one – this is a great way to organize what’s inside. 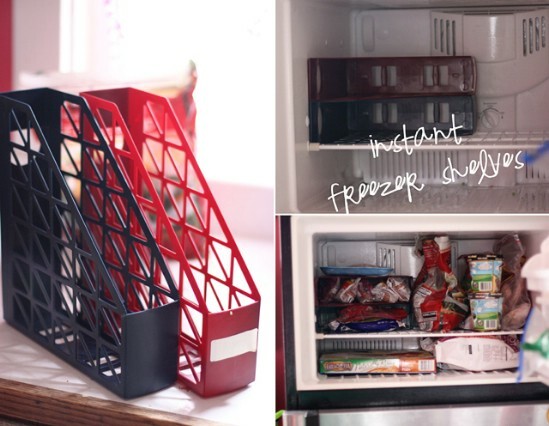 Take those plastic magazine racks and stack them up to hold foods that you’ve frozen in freezer bags. I have so many jams and soups that I freeze in the fall and these racks are perfect for organizing those bags and keeping them from being thrown all around the freezer. You can also use these in your standard refrigerator freezer space to make more room for other foods. You’ve seen those can organizers for the cupboard and pantry, right? Well, those can be a bit expensive, especially if you have to purchase several. Instead, take those metal or plastic magazine holders from the Dollar Store – which cost you around a dollar or so each – and turn them on their sides. Canned foods will easily slide right in and they roll down so rotating your canned food inventory is easy. 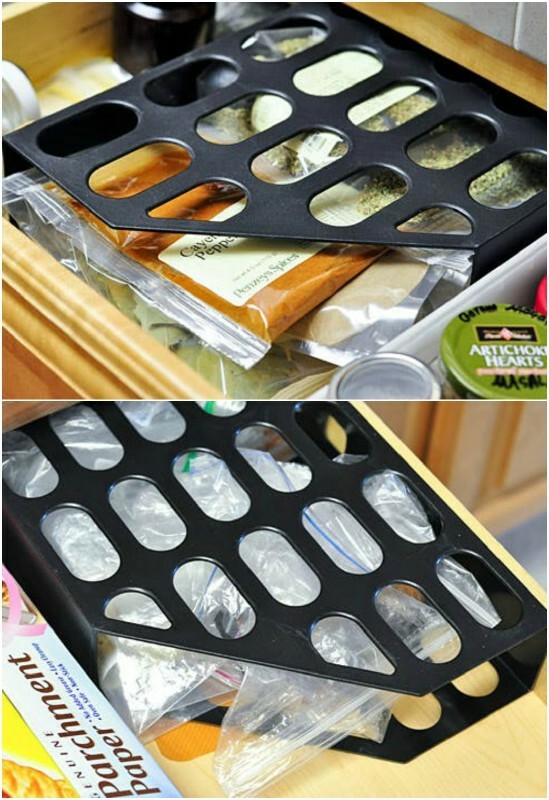 I love this idea – it’s a really quick and easy, not to mention inexpensive, way to organize that pantry. You can use those magazine racks to organize toy manuals or just about any manual for that matter. You know those booklets that come with your washer and dryer? What about the toaster and blender? All of those are important to keep – just as toy manuals are. Take those manuals and put them into magazine holders to keep them organized so you know where they are when you need them. You could also label them. Make one for kitchen appliances, one for living room electronics, and whatever else you need. 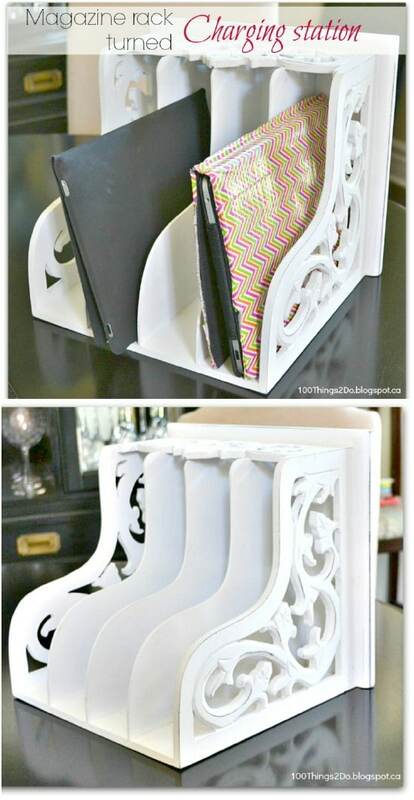 This little mail station shelf is adorable and it’s so easy to make. You’ll use those wooden magazine holders and then add a top shelf. How easy is that? 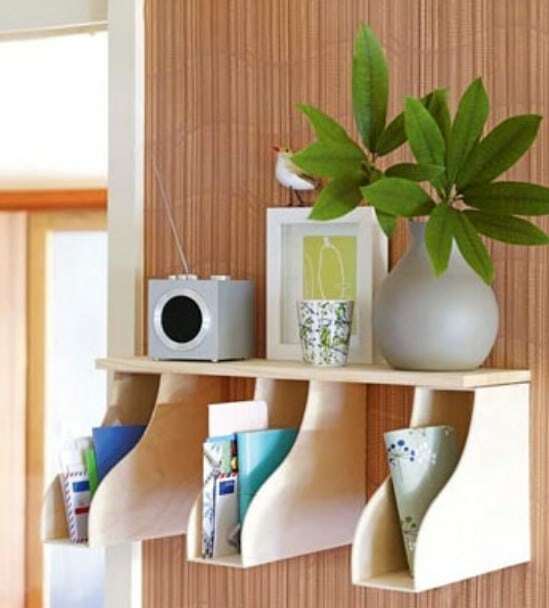 Then, use the shelf for whatever you want and the slots for holding mail. You could have an incoming and outgoing mail slot or separate for everyone in your family – those who typically get mail that is. I love this idea for keeping family mail separate – you could also separate by type like have a slot for bills and one for letters. 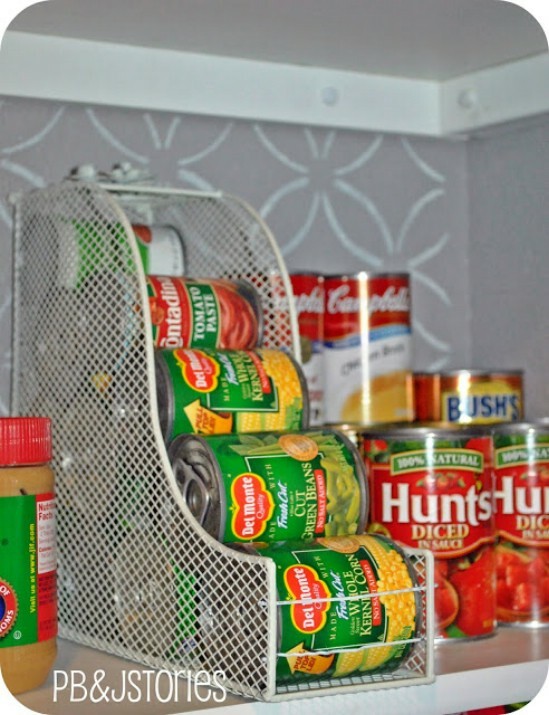 Okay, so we saw a great way to organize cans in the pantry, but what about other perishables? You can take those wire magazine holders and label them for things that don’t go in the fridge. Make one for potatoes and one for onions. The wire will give your vegetables just enough air to help keep them fresh longer and you can easily pull out the racks when you need to grab the veggies. Did you know that spaghetti boxes fit perfectly into magazine holders? I didn’t either – and now I do. I love this idea for organizing spaghetti and other longer pastas in their boxes in the cabinet. Instead of stacking those boxes on each other- and incidentally hoping they don’t come crashing down when you open the cabinet door – you can use a plastic magazine rack to keep them perfectly in place. I have so many clutches. Honestly, I don’t know why I have so many, but organizing them can be really difficult. 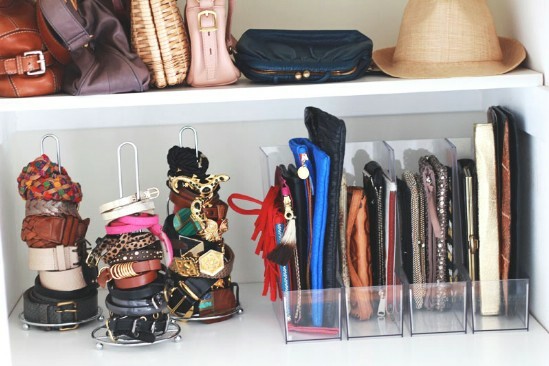 I love this idea of using plastic magazine racks to keep smaller purses and clutches organized. Just get the clear plastic holders and stand them upright on your closet shelf. Then add your clutches. 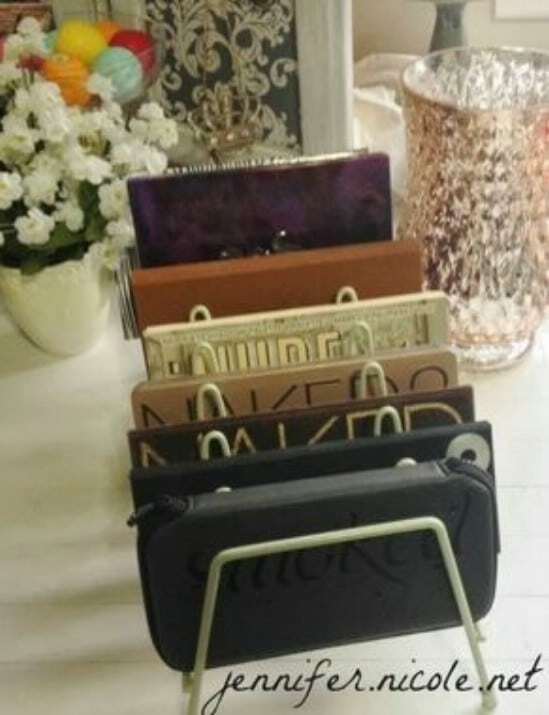 You can easily see the clutches so you know just which organizer the one you need is in. If you tend to own a lot of eye shadow palettes, you may wonder about organizing them. I mean, there’s always the traditional way of hiding them in a drawer or just leaving them on the bathroom counter, but this magazine rack storage is so much better. You can get several palettes in those separated magazine racks and have them right there where you can see them when you need them. It is certainly true that when fresh fruits are in sight they’re eaten more often. If you tend to have trouble getting the family on the healthy food train, keeping those apples and oranges where they can be seen may help. 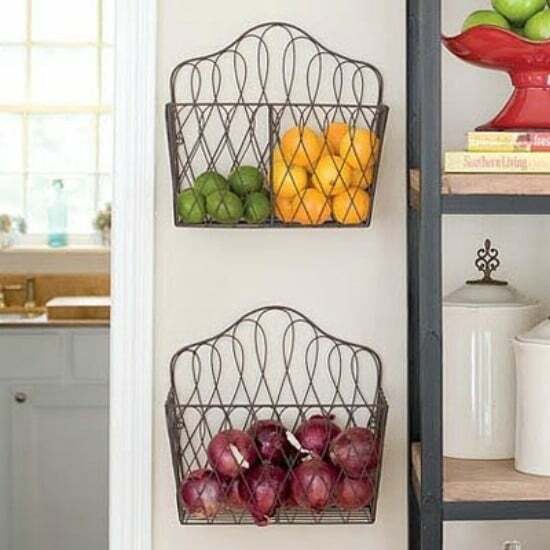 And, you can easily keep those fruits in sight with a metal magazine rack. Not only do these help you to store and keep fruits organized, if you buy the decorative ones, they also become kitchen décor. 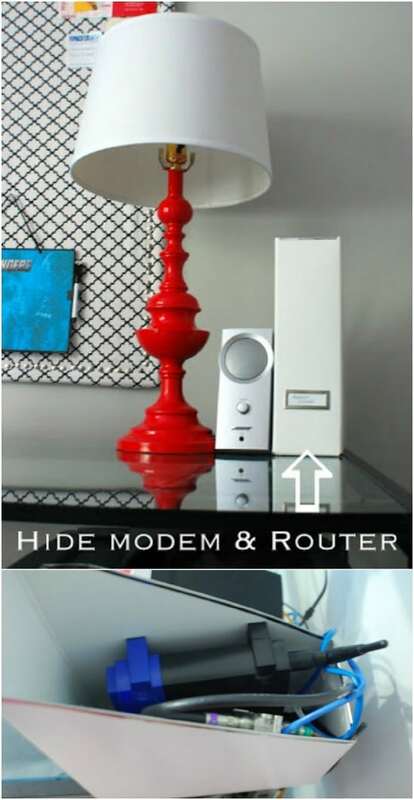 You can easily hide away that router or modem and your cords when you use a magazine rack. Just stick those items and their cords into the magazine holder, leaving enough room to sit it securely on the desk, and the magazine holder puts them completely out of sight. This is a great idea if you’re looking for ways to tidy up your home office and make your desk seem less cluttered. This one is a bit different. 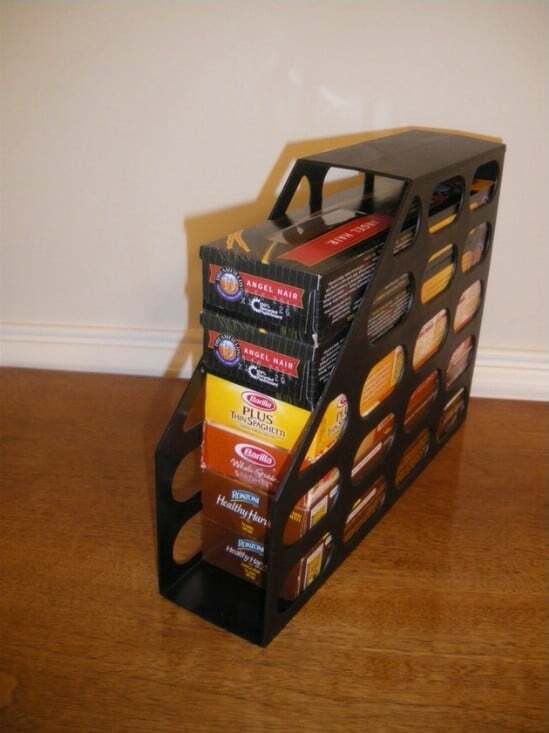 Instead of using those magazine holder racks you see at the Dollar Store, this is an old wooden magazine rack. You can find these at thrift stores like Goodwill and many flea markets. 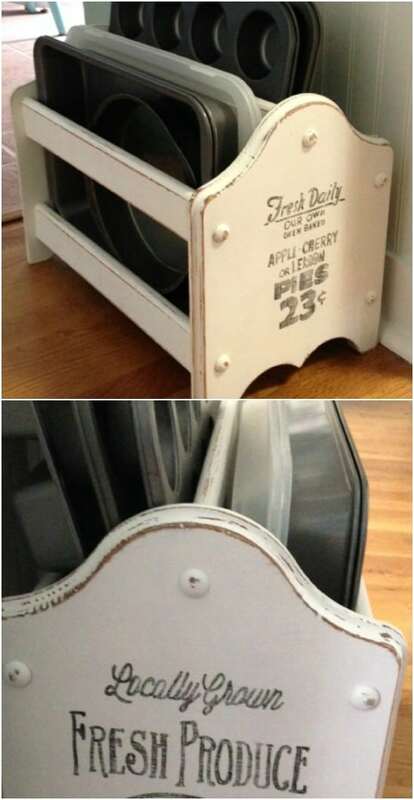 Just repaint – if you need to – and use that magazine rack to hold your baking pans. I can’t tell you how many times I have to reorganize my pots and pans cabinet because I have so many baking pans in there that won’t say put. 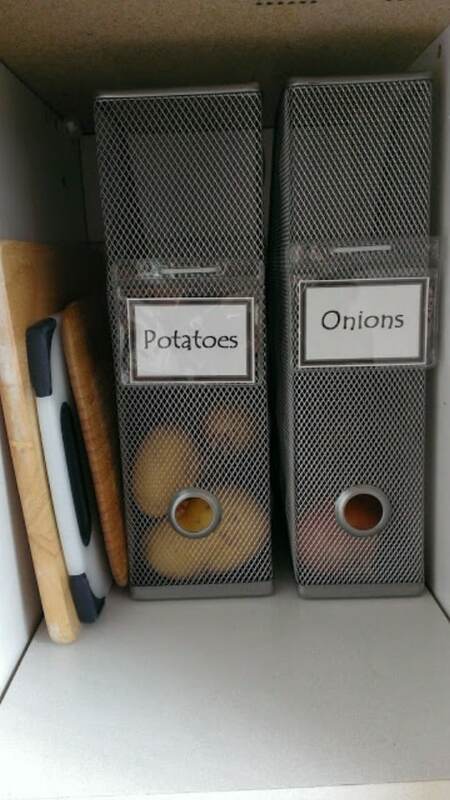 This is a wonderful way to organize the cabinet and keep those pans where you can easily get to them when needed. If you’ve ever bought Tupperware, you know that the lids are great, but they’re difficult to store. I have so many Tupperware dishes and there are so, so many lids! If you’ve got a plethora of those lids, or any lids to any types of dishes really, you can create a storage compartment on the inside of your cabinet door with magazine racks. They sell those lids holders but honestly, these magazine holders are much less expensive and they do the job just as well. This wooden magazine rack was easily turned into an iPad charging station, and I think it’s perfect. If you tend to have a lot of electronics charging at one time – like a tablet for all of your kids all at once – this charging station is perfect. Plus, it’s really cheap. You can find a wooden magazine rack at a thrift store for around $5 or so. Then you just drill holes in the back for the cords and it will perfectly hold all of those tablets while they charge. I love repurposing and love the farmhouse, rustic country look even more. 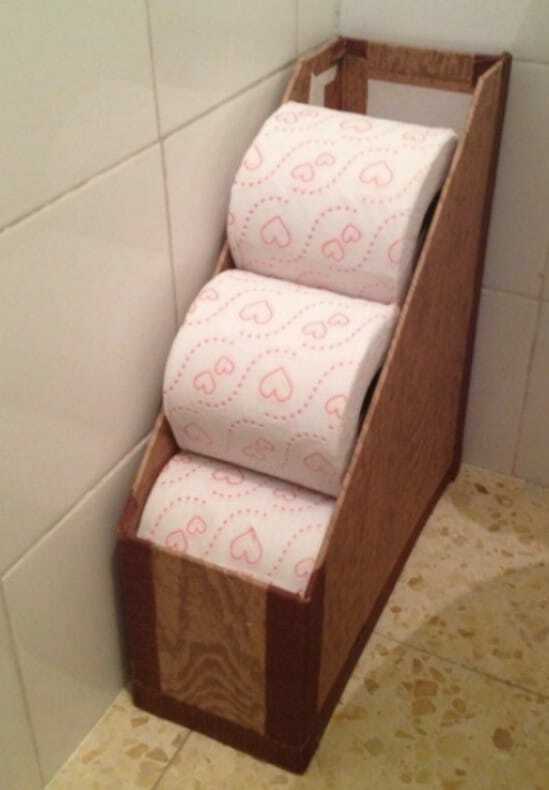 This great toilet paper holder made from an old magazine rack treats both of my passions. Plus, it’s really inexpensive and easy to make. There’s actually nothing for you to do unless you want to refinish the rack – or need to for that matter. I think a distressed look would be great if you want that wonderful farmhouse look, but you can just stick the magazine rack in the bathroom the way it is and fill it with rolled towels if you need something in a pinch. 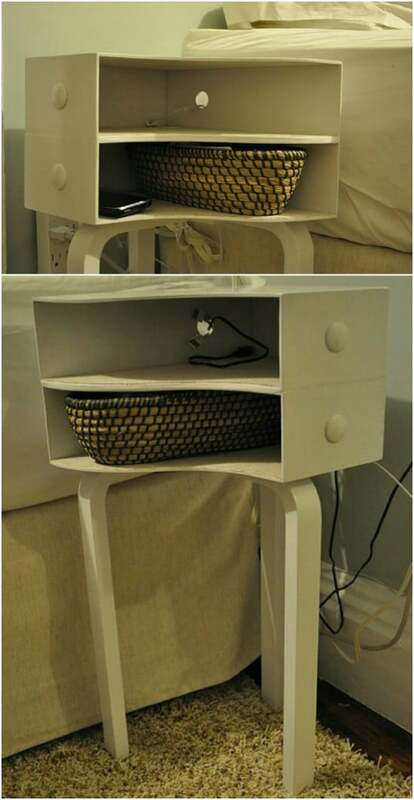 This easy to build DIY nightstand is made from wooden magazine holders and it’s wonderful. Honestly, I have so many books and things on my nightstand that this additional storage cubby would be so perfect. You stack the two magazine holders on top of each other – securing them together of course – and then add legs. This is so easy and offers such great additional storage. There are holes drilled into the back so that you can easily charge your cell phone or plug in a clock or other item and hide the cords. This is the most brilliant idea! 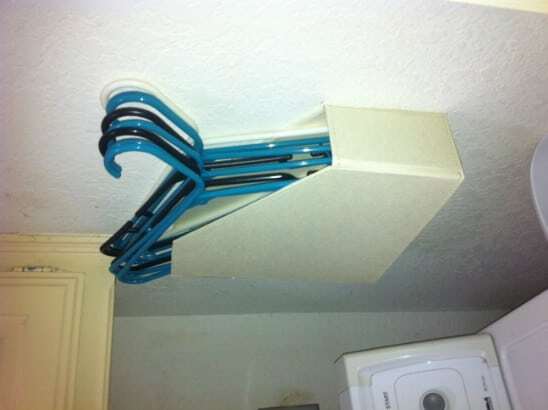 Take those wooden or plastic magazine holders and attach them to the wall in the laundry room. Then use them for storing plastic hangers until you need them. Honestly, this is genius. The magazine holders are the perfect size and they easily attach to the wall with a couple of screws. Keep those hangers off the doorknobs and the top of the dryer. Build them their own little house for safekeeping and get that laundry room organized.